Since it comes in one bottlee, you can mix 20 ml to 40 ml into juice or drink it as it is before going to bed etc. Together with soy milk · which contains protein, will make your skin more beautiful. ・Effective drink with plenty of living enzymes to prepare the intestinal environment for skin beautification, ageing, constipation, diet, etc..
・Probiotics recommended by doctor of University of Tokyo. ・We cannot mass-produce because we incorporate living enzymes efficiently, which may cause delays in delivery. ・How to drink: Please drink 20ml to 40ml with water etc. before going to bed. ・There is no problem even if you drink too much. ・ There are no preservatives in the living enzymes, so refrigeration is required. 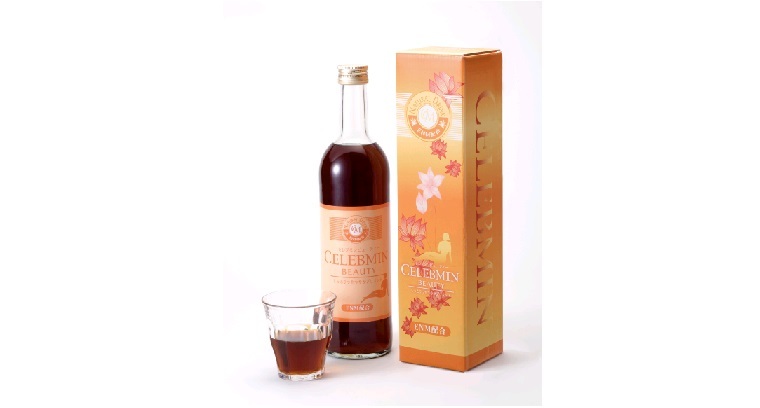 Some endorsements from various customers who drank CELEBMIN BEAUTY. · My constipation was resolved. · A firm feeling and transparency appeared upon my skin. · My skin became smooth. · My metabolism improved. and my body weight decreased to my delight. · The coat of my dog became vibrant and beautiful.